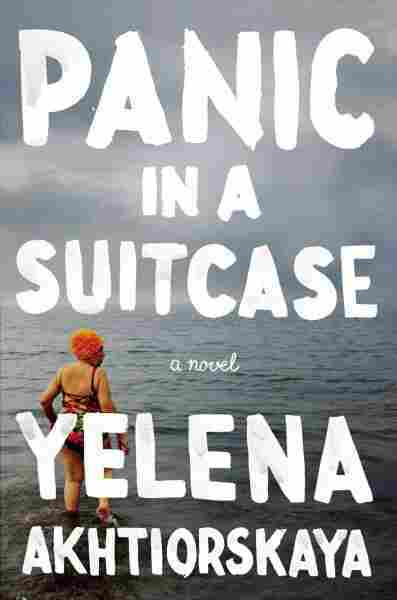 'Panic In A Suitcase' Puts A Fresh Spin On A Coming-To-America Story Yelena Akhtiorskaya's debut novel is about a family that emigrates from Odessa to the Russian enclave of Brighton Beach in Brooklyn, N.Y. It's a funny tale full of insider knowledge and offbeat words. There's a wonderful 1982 memoir called An Orphan in History by the late Village Voice writer Paul Cowan. It's about Cowan's search for his European Jewish roots, and in it he says something about the sacrifices of older generations of immigrants that's always stayed with me. Cowan says: "Millions of immigrant families . . . left the economically and culturally confining Old World towns where they were raised, and paid for the freedom and prosperity this country offered with their pasts." Those words speak to me because that's my family's story: I can't tell you the names of my great-grandparents, left behind in Poland and Ireland, because nobody ever mentioned them. The break was that final. These days of course, it's different. Within the space of a few hours, people can fly across oceans; through Skype and email, they can electronically commute between Old World and New. Three cheers for The March of Progress, right? Except, if you want to make a definitive break, how can you when the Old World is always calling you on the phone, texting and crashing on your living room couch for extended visits? That's the crucial question Yelena Akhtiorskaya mulls over in her sharply observed and very funny debut novel, Panic in a Suitcase. Akhtiorskaya, who was born in Odessa and emigrated to the Russian immigrant enclave of Brighton Beach in Brooklyn, at the age of seven, writes of the fictional Nasmertov family, whose move from Old World to New imitates her own. Beginning in 1993, the novel follows the lives of the Nasmertovs for over two decades as they pledge allegiance to ambivalence, most of the family members wondering, at times, about America, "Should I stay or should I go?" The novel mostly focuses on an adult son, a poet named Pasha, who, in 1993, flies in from Odessa to visit his recently emigrated parents, sister and brother-in-law, and niece — all crammed together in noisy disharmony in a Brighton Beach walk-up. The family is pressuring Pasha to emigrate, but he's not so sure the move is worth it, especially when he sees Brighton Beach for the first time: "Filth [and] dreariness ... didn't bother him, but five [restaurants] in a row called Odessa did. His fellow countrymen hadn't ventured bravely into a new land, they'd borrowed a tiny nook at the very rear of someone else's crumbling estate to make a tidy replication of the messy, imperfect original they'd gone through so many hurdles to escape, imprisoning themselves in their own lack of imagination ... "
What we get instead of a sweeping story are a multitude of exuberant set pieces about modern émigré life, animated by Akhtiorskaya's insider knowledge and her offbeat way with words. Pasha's feelings about emigration will continue to seesaw throughout the next decade; eventually, they'll be transferred to his niece, Frida, whose fascination with the Odessa she can barely remember pulls her back to that city. The kitchen window looked out on the ocean, which had the cast-aside air of a large piece of grandparents' furniture thrown to the curb. Grandparents put plastic covers on sofas so butts and sweaty palms wouldn't damage the fabric, and children sat on the loud sticky plastic. ...The ocean seemed to be inside such a plastic cover and somewhere at the back there was a zipper that could be undone. What an ingenious way to capture that look of the Atlantic Ocean, slick, contained, and worn out by the time it reaches Brooklyn's shores. Akhtiorskaya directs this same tart eloquence to her character studies, saying of the emotionally manipulative Pasha that: "Pasha's talent was to shift dynamics until all sympathy was directed toward him. ... He aroused feelings without necessarily returning them and was permanently enclosed in an aura of exemption." Panic in a Suitcase updates the classic coming-to-America tale, making it more open-ended. Indeed, Akhtiorskaya's immigrants find it comically difficult to commit to a fresh start, given that so much old baggage keeps turning up on their doorstep.